Christopher R. "Chris" Bunch was born in Fresno, California. 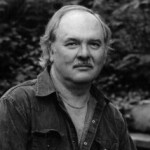 He was an American science fiction, fantasy and television writer, who wrote and co-wrote about thirty novels. He also wrote for Rolling Stone and was a correspondent for Stars and Stripes.